We have woken up now that September has ended, and Fall is upon us! You can officially wear your favorite cardigans and pullovers without looking like a freak, and ’tis the season to partay! And the oncoming cold is another reason to hibernate under the covers and Netflix and binge eat because winter is coming. And speaking of Netflix, they have been so kind to their users that they have lined up some awesome shows and movies that will encourage you to give up your social life altogether. Netflix announces new shows for fall…yay! 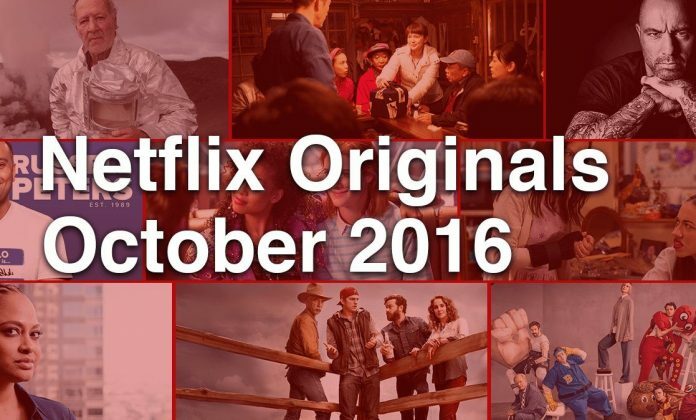 So, without further adieu, check out these listings of upcoming Netflix shows for October 2016. You’re welcome. For a complete list of ALL the upcoming shows on NETFLIX, click here. Check out all the BEST shows coming to Netflix this Fall 2016. Have you heard of The Crown yet? The upcoming Netflix Original show is already making waves. If you have any other suggestions about the shows, let us know! Don’t forget to SHARE with friends so you can all Netflix & Chill together. Happy watching!